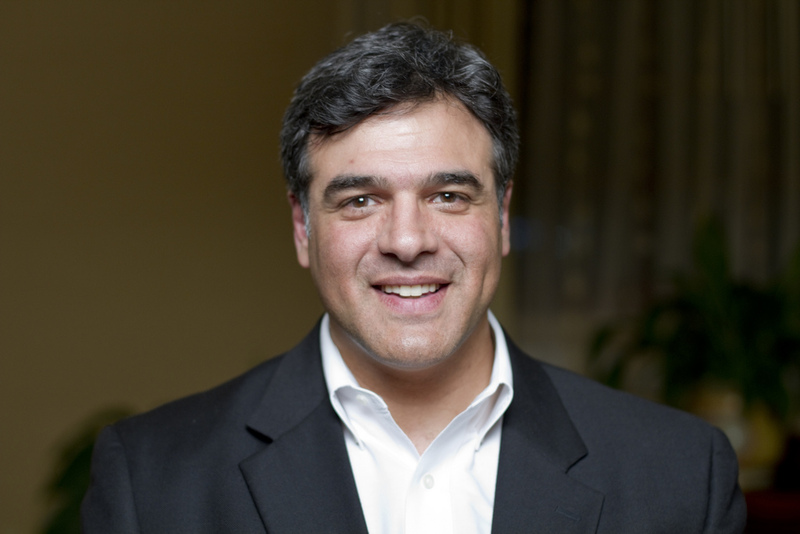 The Bill of Rights Defense Committee and Defending Dissent Foundation has the immense honor to bestow the January 2016 Patriot Award on John Kiriakou. In 2007, Kiriakou appeared on ABC when he told the world three things that would change both our national discourse and his life forever—the Central Intelligence Agency (CIA) had tortured prisoners, torture was the official policy of the United States, and the President had approved and signed off on the use of torture. After this former CIA employee blew the whistle on U.S. torture, the CIA immediately filed a crimes report with the Federal Bureau of Investigation. At the close of the Bush Administration, the FBI closed their investigation of Kiriakou concluding he had committed no crime. Yet, after Obama assumed the Presidency Attorney General Eric Holder, at the request of the CIA, reopened the investigation into Kiriakou and ultimately brought five charges against him, including three counts under the Espionage Act. Amazingly, during discovery a memo was uncovered in which the CIA specifically requested the Justice Department charge Kiriakou with Espionage. The Justice Department wrote back that there was no evidence that what Kiriakou did—telling the world on ABC News about torture—constituted espionage, to which the CIA responded that they should charge Kiriakou with espionage anyways and make him defend himself against the charges. Eventually Kiriakou pled guilty to one charge of violating the Intelligence Identities Protection Act and served 30 months in federal prison. Today, Kiriakou continues his fight for justice as a fellow at the Institute for Policy Studies, where he works on issues concerning torture, intelligence reform, and prison reform. Given the consequences of telling the U.S. people the truth about their government—the lengthy legal battle, the prison sentence, and an eventual bankruptcy—some might wonder if Kiriakou has any regrets about his decision. When speaking to BORDC/DDF, he stated, “I have only regret—that I stayed silent for so long.” While Kiriakou went public in 2007, he had known about CIA torture since 2002. In 2002, Kiriakou participated in the capture of Abu Zubaydah, believed at the time to be al-Qaeda’s “number 3” in command. After his capture, a senior operative asked Kiriakou if he wanted to be trained in “enhanced interrogation techniques. Kiriakou had never heard this term before, so he inquired about what it entailed. The operative became “very excited” as he told Kiriakou that “we are going to start getting rough with these guys.” The operative went onto describe ten “enhanced interrogation” techniques, to which Kiriakou exclaimed “that sounds like torture.” Afterwards, he visited a friend on the executive floor asking for advice. He was told, “Let’s call a spade a spade, it’s torture and torture is a slippery slope.” He was advised not to participate, since it was only a matter of time before someone dies, which would lead to a Congressional investigation, and finally someone going to jail. Kiriakou’s friend asked him, “do you want to go jail?” Kiriakou most certainly did not. He certainly could not have foreseen that his opposition to torture would cause him to be the only person to go jail in connection with the CIA’s illegal torture program. Five and half years latter, and after Kiriakou had resigned from the CIA, he received a call from ABC reporter Brian Ross. Ross told Kiriakou that he had a source who was willing to say that Kiriakou had been the one to torture Abu Zubaydah. He told Ross that he was one of the only people to oppose torture. Ross told him he could come on the program and defend himself. In the intermediate period of time, George W. Bush came on TV and told the nation that the United States did not torture. Kiriakou was appalled that the President could go on TV and “looking us right in the eye and lying.” At this point, Kiriakou resolved that no matter what Brian Ross asked him he was going to tell the truth. After serving thirty months in federal prison, Kiriakou’s advocacy has expanded to examine prison reform. While in prison, Kiriakou discovered that torture was not just something the CIA did overseas, it happens every day in the U.S.’s prisons. Near the end of his prison term, Kiriakou got a new cellmate—Jim. Jim had been in prison for eight years previously before being released on parole. Post-prison Jim, who was homeless, lived in a cardboard box under a bridge in Pittsburg. Desperate to escape the cold Jim broke the terms of his parole just so he could be inside for the winter. Jim was also a paranoid schizophrenic. As he explained to Kiriakou, he was fine when he took his medication, but when he didn’t things could get very bad very quickly. The prison denied Jim his medication on the grounds that it was too expensive and gave him Tylenol, an over the counter painkiller that in no way treats mental illness. Additionally, Jim developed a bleeding hemorrhoid, which the prison refused to treat. Denied medical treatment, Jim began filing grievances against the prison. The prison put him in solitary confinement on the grounds that he was “harassing” the prison officials by filing grievances. In solitary confinement, once a day the medical unit goes cell to cell making sure everyone is ok. However, because Jim had “harassed” the prison medical staff they purposefully skipped his cell. Without his medication, Jim’s mental state deteriorated further and further, until eventually he stood on his bunk and hit the sprinkler with a slipper, causing all of the sprinklers in all of the cells to go off. Prison guards wearing all black and equipped with helmets “extracted” Jim from his cell tasering, pepper spraying, and beating him in the process. After they “extracted” Jim from his cell, prison guards stripped him and put him outside in a fenced area reserved for recreation. Its tiny nature—10 by 12 feet—makes it resemble something more like a cage than a recreational space. It was winter and thus cold outside. Jim pleaded to be let in, after an hour breaking down into tears, before finally fainting. When he was brought back to his cell he was babbling incoherently. One particular experience Kiriakou had with the FBI was that the FBI consistently leaked information to the press meant to make him look bad—ironic given their supposed concern with leaks. At one point, after Kiriakou successfully won a motion in court an anonymous FBI official told the Washington Times that Kiriakou was a “dangerous man” and a “bad actor.” Leaks like this show what the real endgame of the government is: not to get a long prison sentence but rather, according to Kiriakou, to “ruin” an individual completely so as to silence other potential whistleblowers. Kiriakou told BORDC/DDF that his main advice to any potential whistleblower is to get a lawyer before they blow the whistle. And not just any lawyer, one that specializes in whistleblower cases. To prove his point Kiriakou points to the case of Tom Drake, who “did everything right,” yet still ended up ensnared in the war on whistleblowers, charged with 9 felonies, including seven counts of espionage (the charges were letter dropped after he agreed to plead guilty to misusing a government computer). As for Snowden’s decision to go to the press, Kiriakou said “Good call on his part.” As Kiriakou explained, Snowden saw what happened to Drake and recognized he had no other choice. Furthermore, Kiriakou pointed out by going to the press Snowden was able to get results—public opinion has shifted and Congress has held hearings as a result—when most whistleblowers who go through internal channels are not able to have the same impact. Talking about what needed to happen Kiriakou stated that we need to return to “September 10th, America.” This could only happen though if the American people put pressure on their representatives to respect civil liberties. Thanks to Kiriakou’s courageous decision to tell the truth about the U.S.’s use of torture, as well as his work on intelligence and prison reform, he has helped to build exactly the kind of movements that are necessary to make intelligence and law enforcement agencies respect civil liberties. For this he receives January 2016 Patriot Award.